This site is happy to introduce the first installment of the unreleased recordings of Michael Kaye, a closer look at some of the highlights of the extensive post-band output of the vocalist, pianist, and keyboard player with Hap Snow’s Whirlwinds from 1960 to 1964. The music covered in this section includes pop and rock ‘n roll recorded between 1963 and 2009. When Kaye returned to America from military service in 1967, he soon began working with various bands, eventually co-founding The Lou Jolli Trio, along with saxophonist Frank Barberio. In the early and mid-1970s, Michael Kaye played in a number of groups, including his own Michael Kaye Duo. Joey Andrade, the drummer for most of Kaye’s time with the Lou Jolli Trio, was an important musical partner—their music will be the focus of the second installment of the unreleased recordings of Michael Kaye. Drummer and vocalist Gary Feldman also joined Kaye as part of the Michael Kaye Duo. Their version of “That’ll Be The Day” by Buddy Holly, Jerry Allison, and Norman Petty was recorded live at the Helm in Portsmouth, New Hampshire in 1976. Besides working in duos and groups, Michael Kaye also developed a successful one-man lounge act that he has been performing throughout the Northeast United States for several decades. Musical genres covered span easy listening, pop, funk, and classic rock ‘n’ roll. 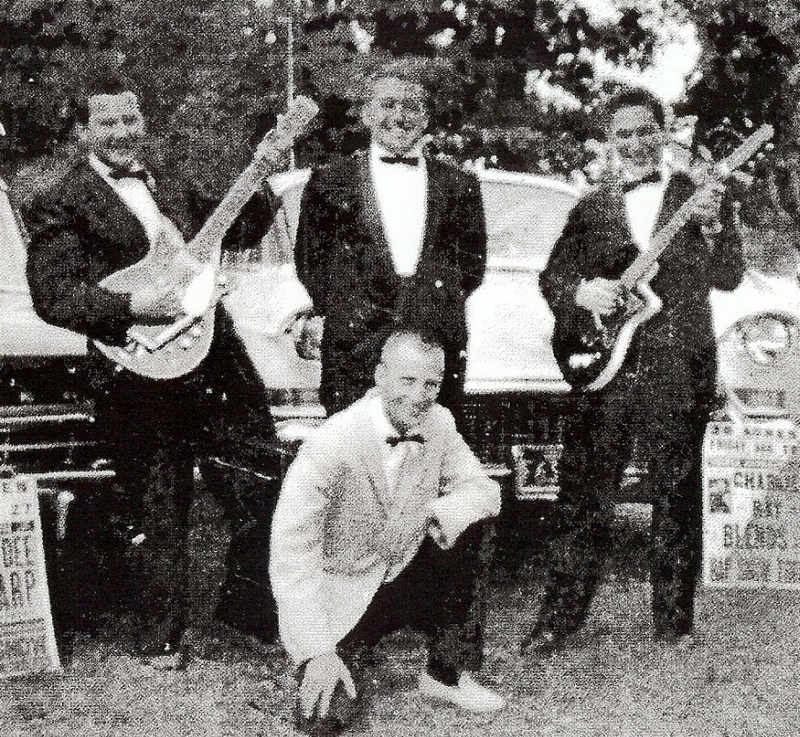 In fact, a number of the 50’s and 60’s rock hits were first performed with Hap Snow’s Whirlwinds. A video for Michael Kaye’s take on the Boz Scaggs’ composition “Sierra,” is now on YouTube, part of the A Lullaby for Emily video EP featuring home demos made between 2009 and 2010. Although recorded at a home studio in Massachusetts around 2010, this is the identical version Kaye delivered to his new bride Lynn at their wedding in 1997. During his tenure as a Whirlwind, Michael Kaye recorded four tracks with the band. Early and alternate versions of “Whole Lot of Rockin’ (Version),” “She,” and “He Can Have Her” are included in The 1963 Acetates, Part II: Early And Alternate Tracks EP. All three original compositions by Steve Fradkin (known as Steve James in the band) were recorded at a home studio in Massachusetts around 1963. Between 1959 and 1964, Hap Snow’s Whirlwinds recorded five tracks in the studio. 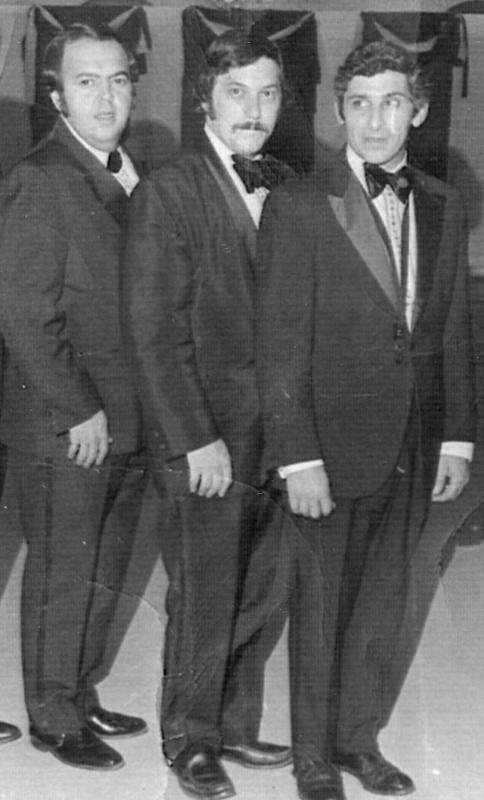 “Banshee,” “Bottom’s Up,” “Let’s Have a Party,” and “Len’s Hassle” were cut at Ace Recording Studios in Boston, Massachusetts in 1959 and 1960, while “Back Again” was recorded at WNEU Studio at Northeastern University in 1964, produced by Ron Frizzell. This entry was posted in Feature and tagged "Cab Driver" Mills Brothers cover, "Sierra" Boz Scaggs cover, Art Bearon, Arthur Butch Pimentel, Bill Elgart, Frank Barberio, Frank Chiumento, Hap Snow, Harry Lewis, Leonard Hochman, Massachusetts Rock, Michael Kaye, New England Rock, Stefano Torossi, Steve Fradkin, Ted Pina, The Lou Jolli Trio. Bookmark the permalink.